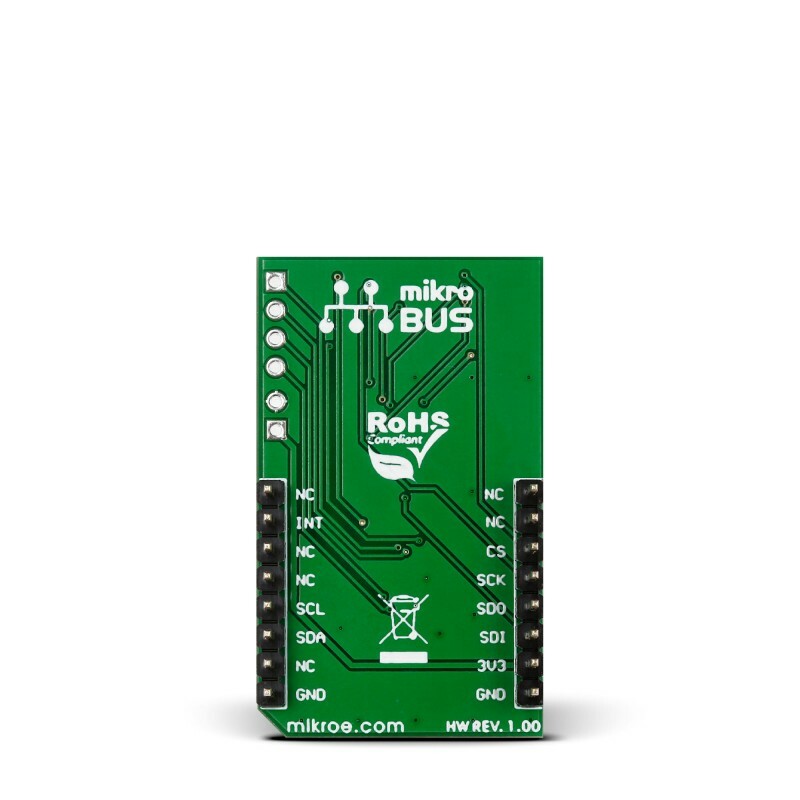 6DOF IMU 2 click is a mikroBUS™ add-on board with Bosch's BMI160 low power inertial measurement unit (IMU). The BMI160 is capable of precise acceleration and angular rate (gyroscopic) measurement. 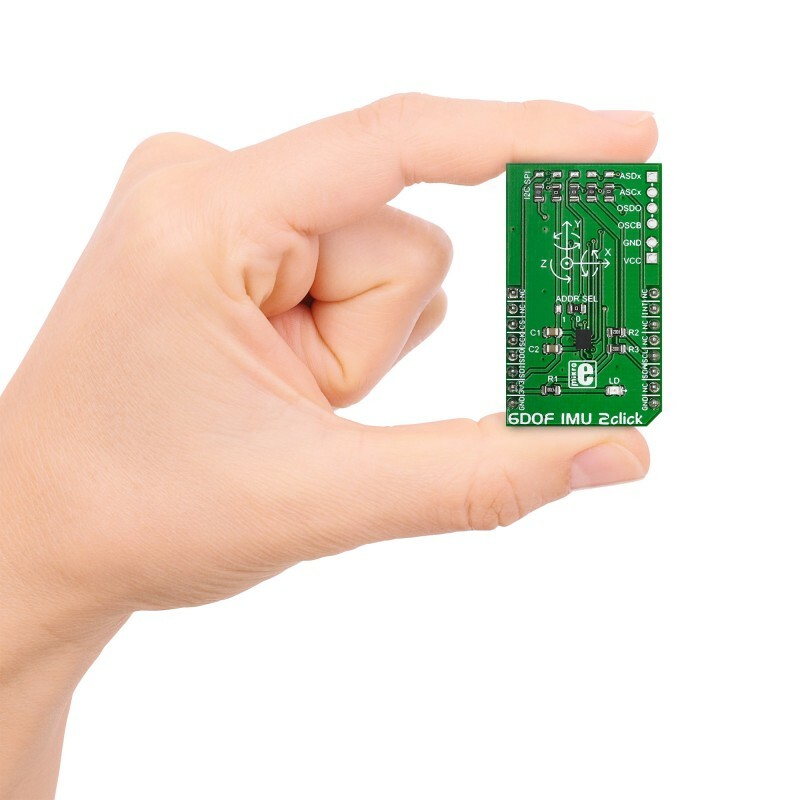 The IMU consists of a state-of-the-art 3-axis, low-g accelerometer, and a low-power 3-axis gyroscope, designed for 6-axis and 9-axis applications. The BMI160 also includes built-in power management unit (PMU) for advanced power management and power-saving modes, as well as allocated FIFO buffer of 1024 bytes for handling external sensor data. 6DOF IMU 2 click communicates with the target MCU through the I2C or SPI bus (user-selectable), with additional functionality provided by the INT pin (for enhanced autonomous motion detection). 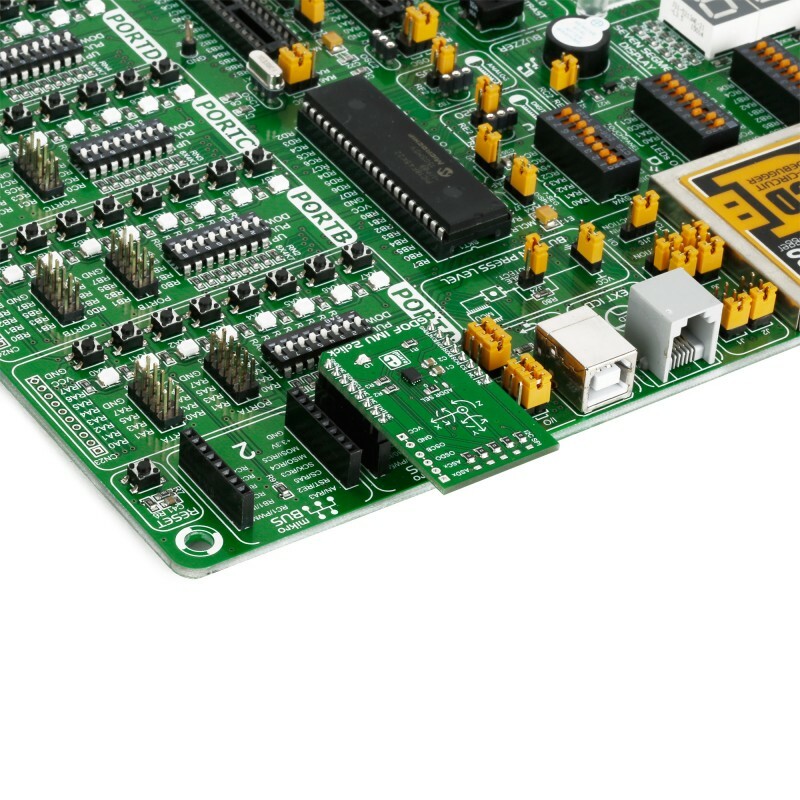 The board is designed to use a 3.3 power supply only. 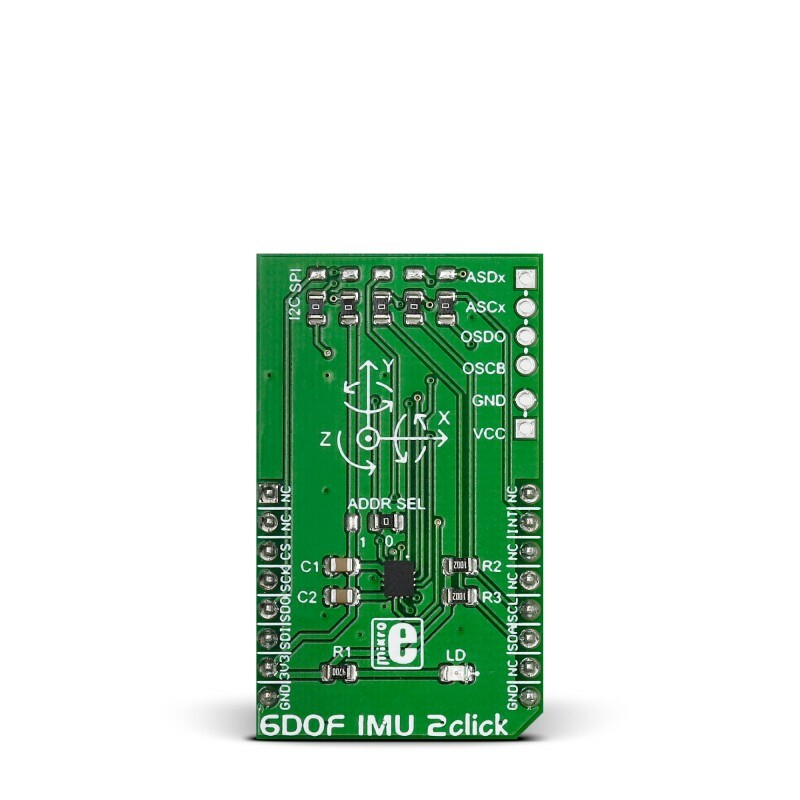 Code snippet demonstrates initialization of the 6DOF IMU 2, reading gyro and accel data, and printing them out on TFT.